Let’s be honest, there is nothing better than camping in the fall. You’re not overly hot, you don’t need a winter jacket, and there aren’t as many bugs out. Doesn’t this sound like the perfect time to take an RV and go for a camping trip?! While there are a ton of beautiful spots around Canada, national and provincial parks have the best views in the fall time as all the leaves start to change colours. During the day, it’s still nice enough to go for a swim, but come night time, you can cuddle up by the fire and roast marshmallows without overheating! If you are looking for places to go camping this fall in Canada, this list is for you. You can pack up the RV and go to the closest one to you, or you can even drive across country to experience a few of these! Looking for somewhere that’s close to water but also has mountains? Then this is definitely the spot for you. 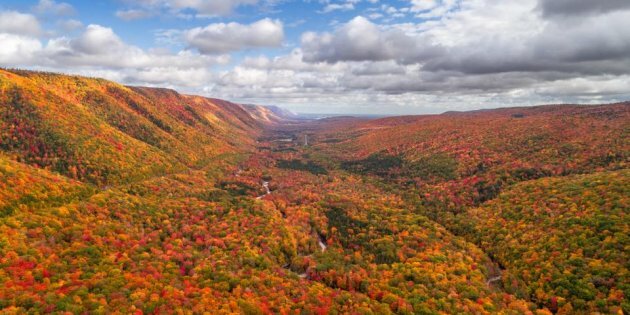 Cape Breton Highlands National Park is located in Nova Scotia, so you already know it will be beautiful! 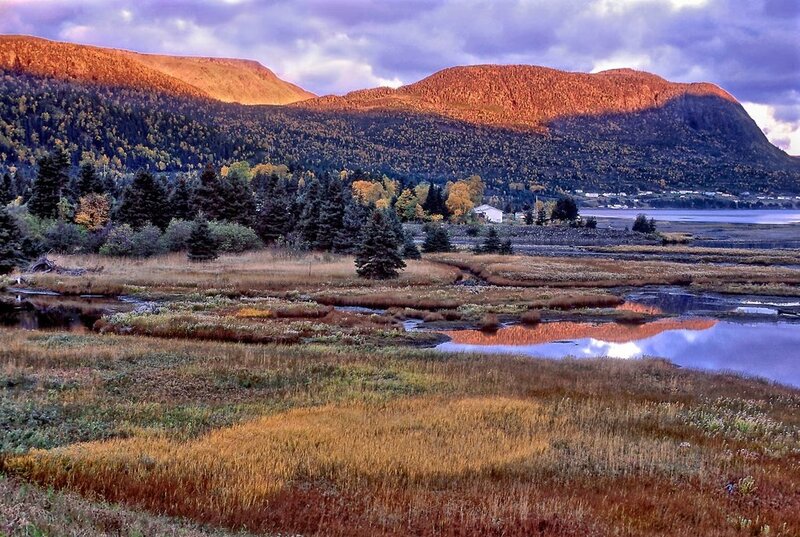 Don’t forget your hiking shoes, as Cabot Trail is a popular destination for hiking. 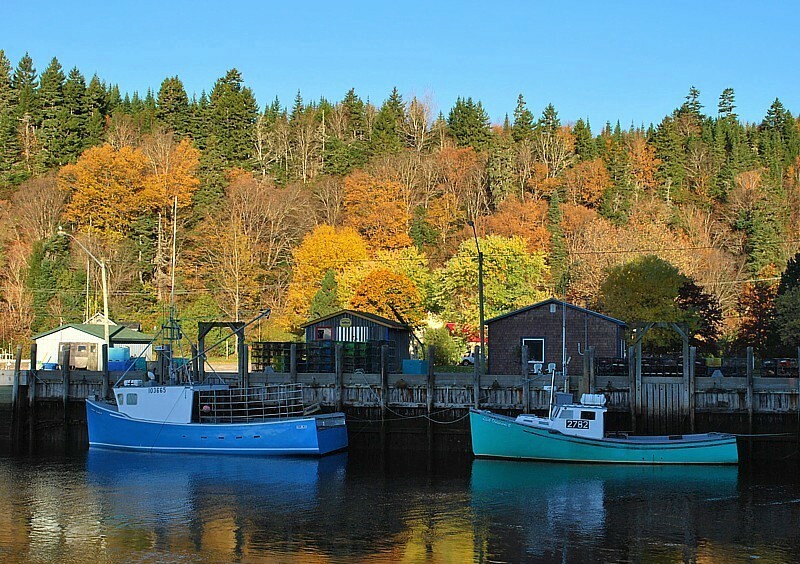 Right off of Cabot Trail, you will also find the Rusty Anchor Restaurant which has one of the best lobster rolls in Cape Breton So if you’re hungry after your hike, make sure you stop by there! The views from Gros Morne National Park in Newfoundland and Labrador are enough to make you want to drive from wherever you are right now, to go there ASAP. Not only are there boat tours that take you around the national park, but they also have a number of campgrounds where you can park your RV and camp along the way. A great place to check out is Gros Morne RV Campground. If you’re into hiking, there are around 20 trails you can check out, and after seeing this view, you’ll definitely want to do a couple! Depending on the weather, you can also kayak. If you love nature, then this is a great spot for you. 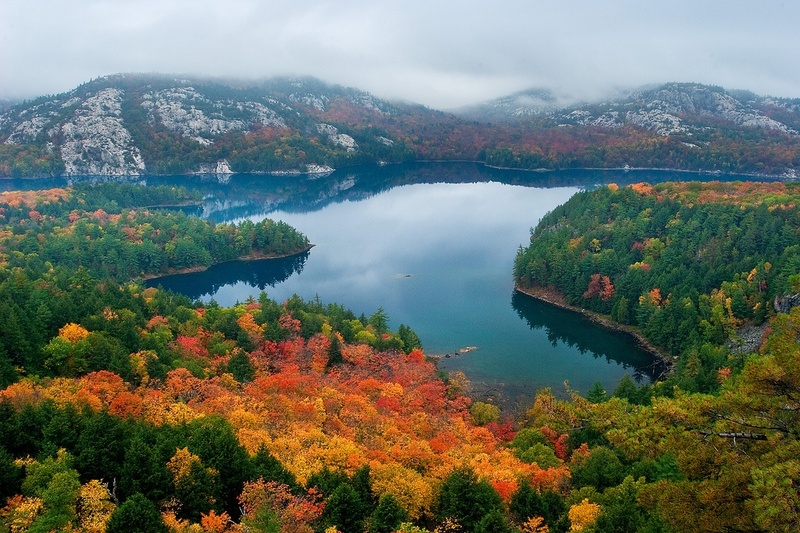 Killarney Provincial Park is absolutely stunning in the fall time. If you and your family are into hiking and are up for the challenge, then you’ll definitely love the 80 km loop calling La Cloche-Silhouette Trail. Fortunately, George Lake Campground is open all year for RV camping, so you and your family can take advantage of it's beauty throughout the year, especially in the fall. Be sure to bring your bikes along as there are plenty of options available for biking, starting at the Chikanishing Creek. Mount Robson Provincial Park, which you can see from the photo above, is absolutely stunning, and is actually the second oldest provincial park in British Columbia. 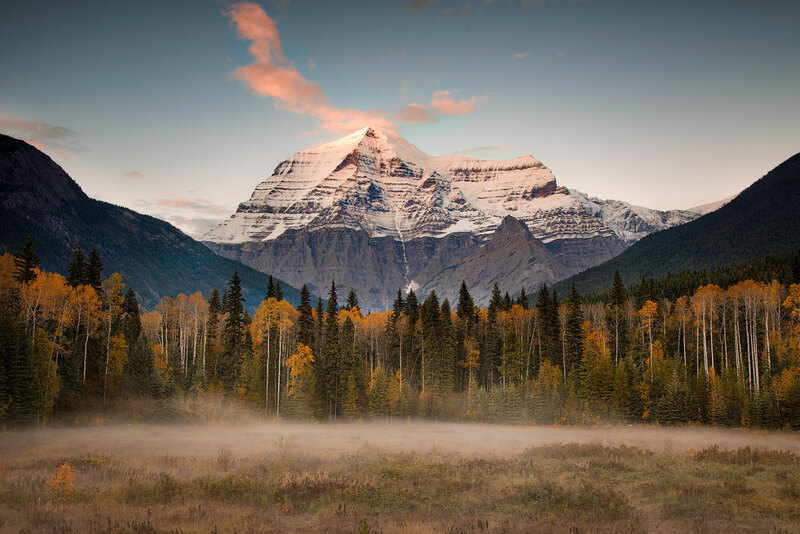 No matter where you camp in Mount Robson Provincial Park, you’ll be able to see the history all around you, as well as Mount Robson which is the highest peak in the Canadian Rockies. There are 6 campgrounds in Mount Robson Provincial Park that you can visit, but only two of them are open year-round. The other 4 close in September, so you’ll need to see what your options are for the fall time. You can also take advantage of the hiking trails, fishing opportunities, and canoeing in this great park. Nopimingi Provincial Park is not only an amazing spot to fish, but it’s also a great place to park your RV and get away from the city and into the wild. Nopiming has 4 very popular campgrounds, but the park itself has more than 700 lakes. Some popular activities to do in Nopiming Provincial Park is either fishing, or riding your canoe around. If one of your favourite things about camping are the views, then get ready. 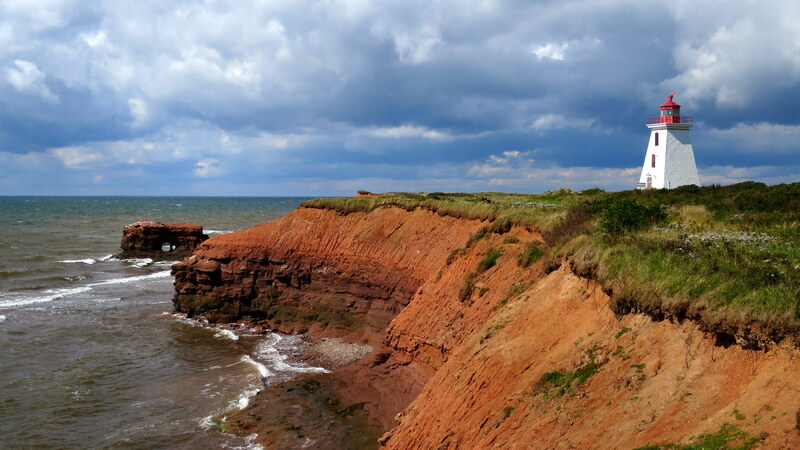 Prince Edward Island National Park is known for it's sandy beaches, sand dunes and even red cliffs! If you decide to stop an RV in this park, make sure to stop by Covehead Harbour Lighthouse as it’s been a staple in the park since 1975. You can either camp in Cavendish or Stanhope, but both are beautiful and will be perfect for your RV. They have over 50km of trails as well, so you’ll never be bored. The fall time is also the perfect time for picnics near the lighthouse and bird watching. 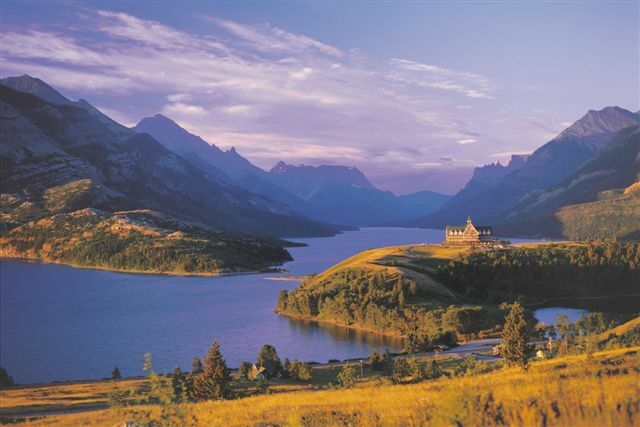 Waterton Lakes National Park is a great destination if you want to experience a hint of the prairies but still want views of the Rocky Mountains. It’s the perfect place to camp if you and your family love to ride your bikes, as there are many trails that are perfect for biking. You can also view stunning waterfalls in Waterton Lakes National Park. There are 4 campgrounds available to camp at, but only Townsite Campground and Belly River Campground allow RVs. You also shouldn’t be surprised if you spot a Blue Jay or a deer! 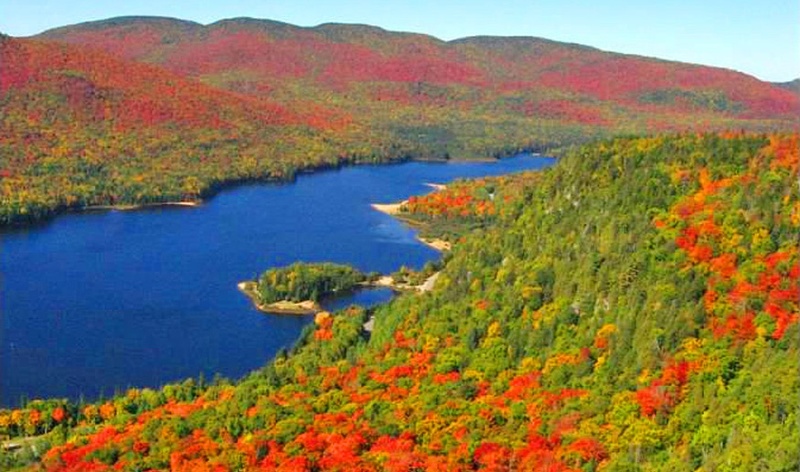 If you refuse to travel without your beloved canoe, then you need to visit Parc National Du Mont-Tremblant. It has 6 rivers as well as 400 streams and lakes, all of which are made for people who love canoeing. This park is the largest in Quebec, so you know you’re getting the best of the best. Parc National Du Mont-Tremblant is open all year round, but the camping season is open until mid-October. You’ll get to experience great canoeing, hiking, fishing, and wildlife watching all while in great weather. 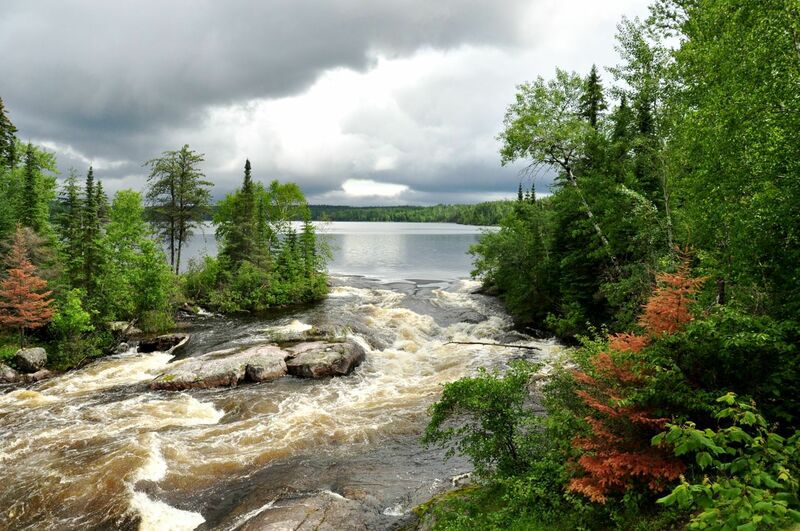 In Algonquin Provincial Park, you can be sure you’ll find a place you’ll love to park your RV as there are 8 campgrounds available. This park is filled with nature, especially rocky ridges, lakes, and maple hills. In the fall, the entire park lights up with different coloured leaves and it’s the most beautiful sight. Algonquin Provincial Park is a great place to spot moose, as well as go biking. If you’re into fishing, this park is popular if you’re looking for trout. They have over 20 hiking trails as well, and hiking in the fall time is completely different experience in the best way possible. St. Martins in New Brunswick isn’t a provincial park, but it is a seaside town that is adorable. The town is very different from a provincial park, but you’ll feel straight at home at one of St. Martins 3 campgrounds where you can just pull up your RV and hang out as if you’re in your own backyard. All 3 campgrounds have something different, but this village has hidden sandstone sea caves that everyone in this town raves about. You can only search it during low tides, which should be great during most of the fall season! So if you're ready for fall camping, then head to one of these 10 beautiful spots that will make your trip amazing. 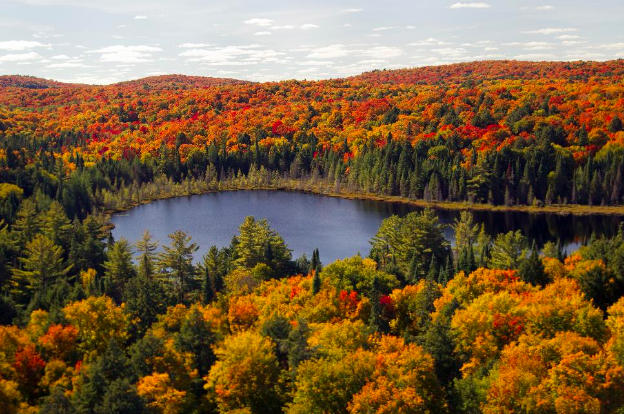 Whether you enjoy hiking, canoeing, or just sitting by the fire, all of these spots in Canada will allow you to do so with multicoloured leaves surrounding you. Most fall seasons for provincial parks start at the beginning of September, so book your RV trip ASAP!